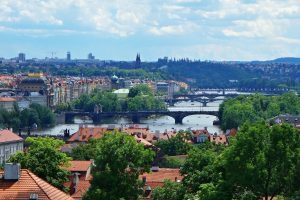 Christmas markets attract many travellers to Europe in winter and the Christmas markets in Prague, capital of the Czech Republic, are often mentioned as one of the best. If you are around at the end of the year, you shouldn’t miss this enchanting experience. We have been living in Prague for a few years and we have visited the local Christmas markets many times – and we still enjoy their festive atmosphere. Prague is a beautiful city but it becomes even more magical during the holiday season – especially if there is some snow! 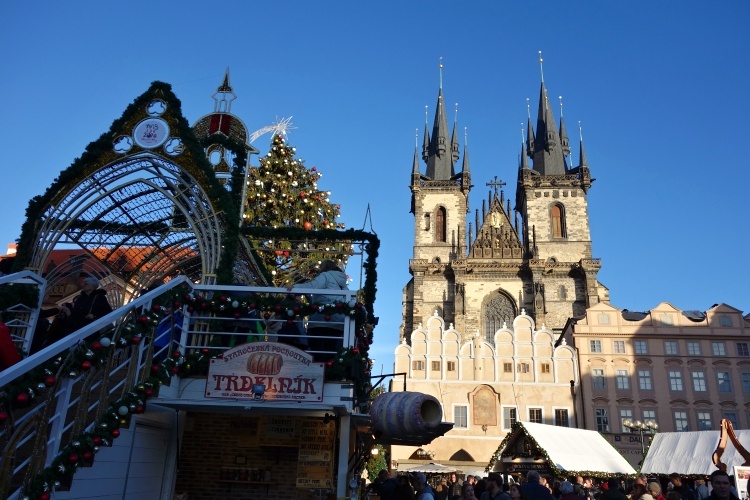 There are many reasons why the Christmas markets in Prague should be on your bucket list. 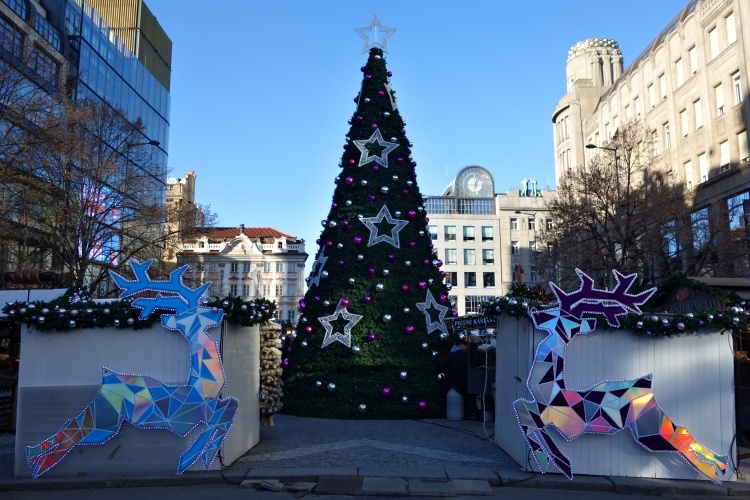 The Christmas markets (vanocni trhy in the Czech language) in Prague are spread all over the city and you can find them in many squares and streets. 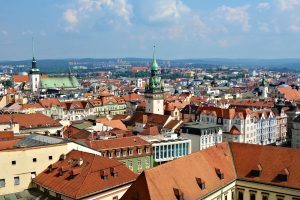 The most popular markets are located in the historic centre of the city, which is fairly compact and flat, so it’s easy to stroll from one market to another. There is no need to use public transportation – it’s quicker to walk than to take the metro or tram. 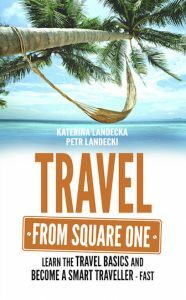 For example, it takes just a few minutes to walk from the market in Old Town Square to Wenceslas Square or Republic Square. 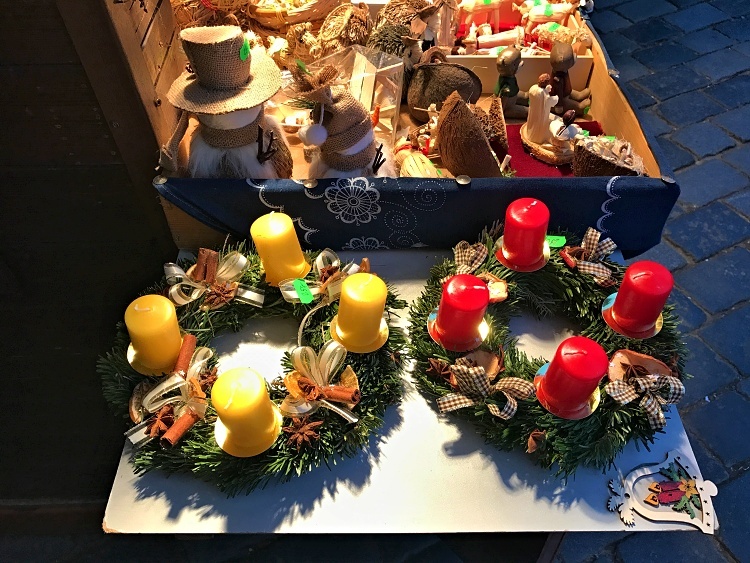 Christmas markets are very popular with both the locals and tourists and that’s why they can get very busy – try to avoid weekends (especially in the evening) and visit in midweek if possible. Typically, the bigger markets are open from early December to early January and the smaller ones from late November till late December, so check the market dates online before you book your flights. 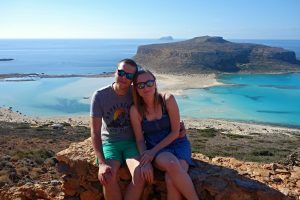 If you manage to avoid travelling during peak times at Christmas and New Year and travel before or after the holiday season instead, you can get great flight deals. 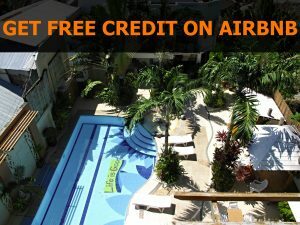 Accommodation is also cheaper at this time of year as this is considered the low season (except for New Year’s Eve), so the trip can be made on a very low budget. 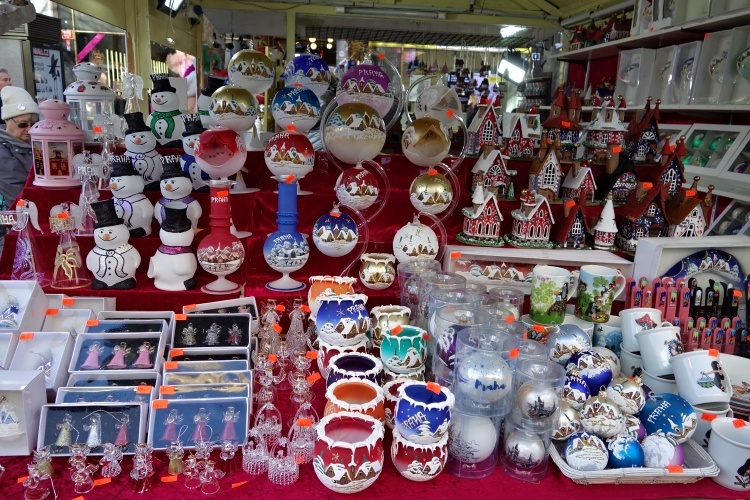 The Christmas markets are open every day, even on Christmas Eve, Christmas Day and New Year’s Day. In comparison with the Christmas markets in other countries, especially in Germany, the markets in Prague are smaller, which makes them more charming and picturesque. 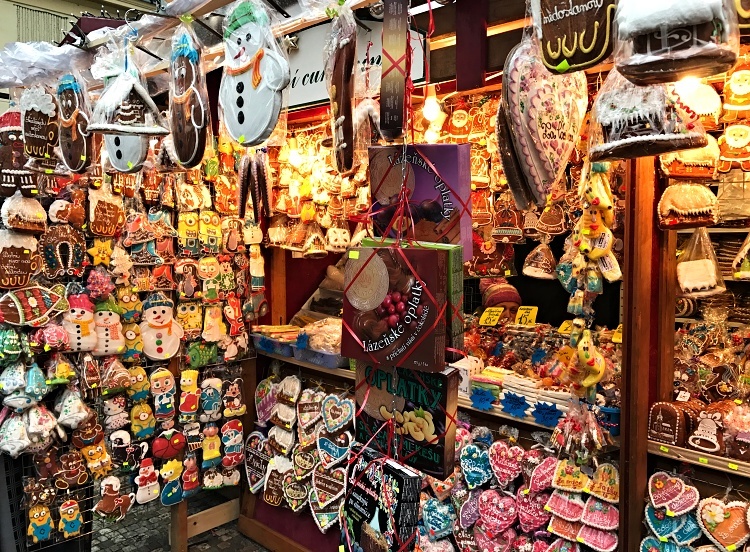 The prices of merchandise, food and drinks at the Christmas markets in Prague are also lower than in Germany or Austria, which makes them a perfect place for buying original Christmas gifts or decorations – and the Christmas markets are free so you don’t have to pay to get in. Go to the smaller local markets out of the city centre for even lower prices. Gingerbread stalls will entice you! 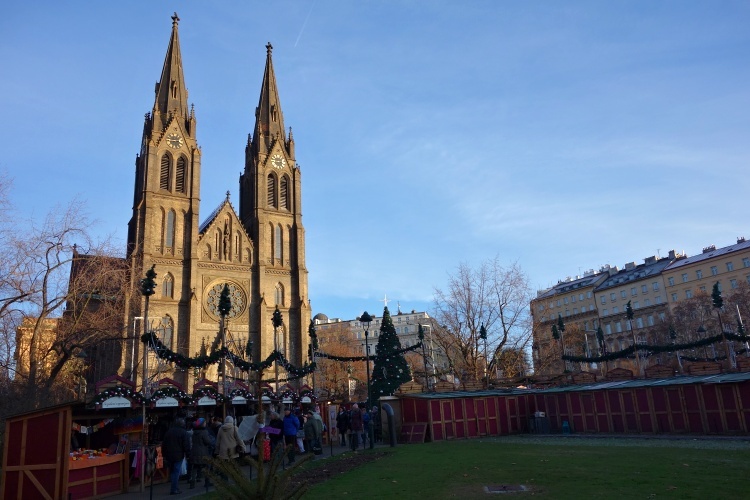 Christmas markets play an important role in the Christmas tradition throughout the Czech Republic so you can find them in many cities around the country. 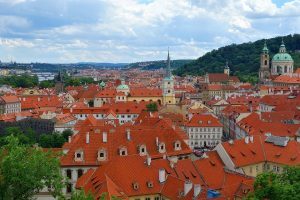 You can learn a lot about the local traditions there – how to prepare local food, how the typical Christmas decorations are made, or just listen to Czech carols. 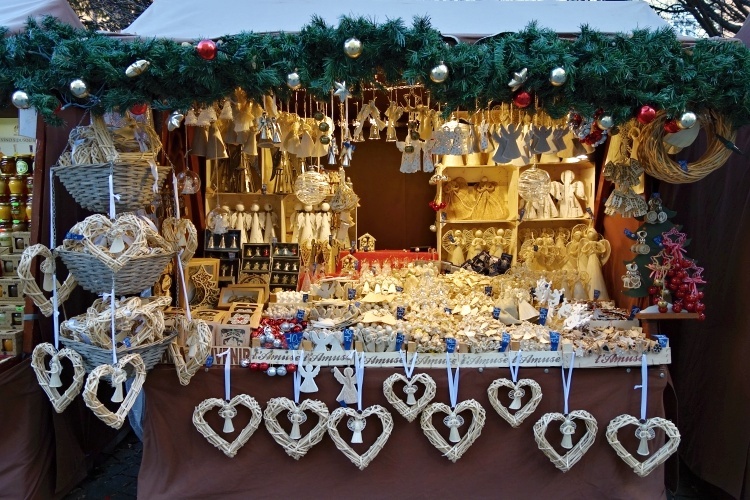 Typical Christmas markets consist of wooden stalls situated around a Christmas tree, with a wide variety of local Christmas products (most of them handmade), traditional food and drinks on offer. Traditional local food is a big part of the Christmas market experience. 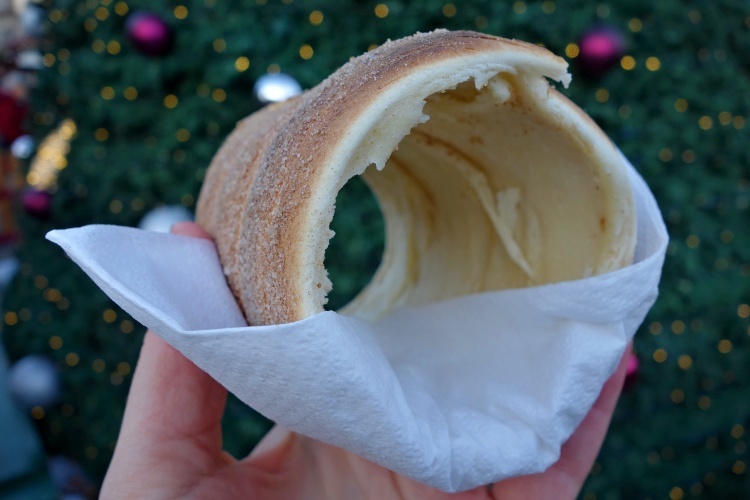 Don’t miss trdelnik – a sweet pastry made from rolled dough. This is wrapped around a metal stick (trdlo), then grilled over an open flame and sprinkled in a sugar and cinnamon or walnut mixture. Even though it’s presented as a typical Czech product, it is not, it’s more a product created for tourists. But it’s nice so check it out. Meat lovers should try roasted ham (sunka) or barbecued sausages (klobasa). They are usually served with a slice of bread and mustard. Gingerbread (pernik) products are not only tasty but can also be a great gift. You may get very cold after being outside for a while, but there are many drinks that can help you to warm up. Mulled wine (svarene vino or svarak), Christmas punch (punc) or mead (medovina) will soon get you into the festive mood, while well-known Czech beer (pivo) is a perfect accompaniment to any meal. 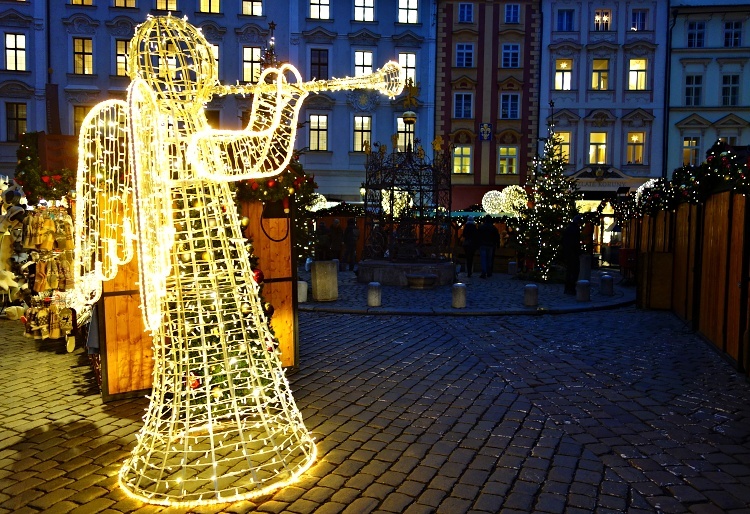 Many Christmas markets (for example, the Old Town Square market) include a small stage where performances, especially concerts, take place. You can usually see some craftsmen in action (blacksmiths, etc.) and learn more about how various things are made. Also, there might be a small animal stable at some of the markets so that children can stroke and feed a sheep, donkey or goat. The festive atmosphere becomes even more special after the sun goes down and all the lights are turned on. 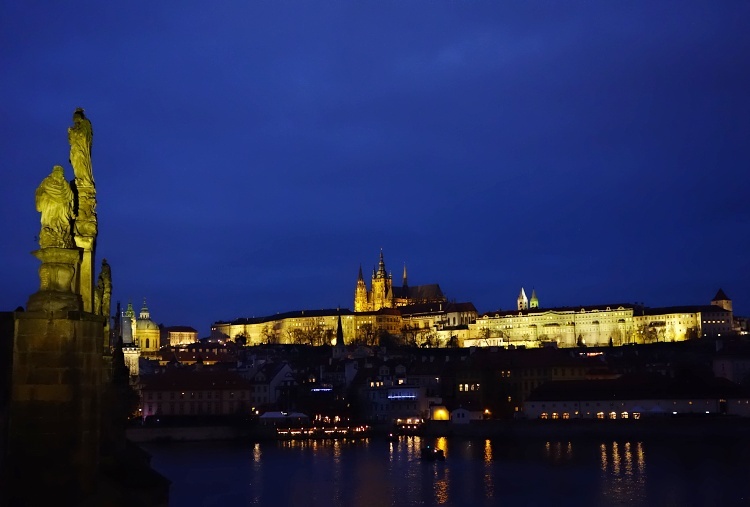 Walk around the Christmas markets but also take a stroll to Charles Bridge for amazing views of Prague Castle. 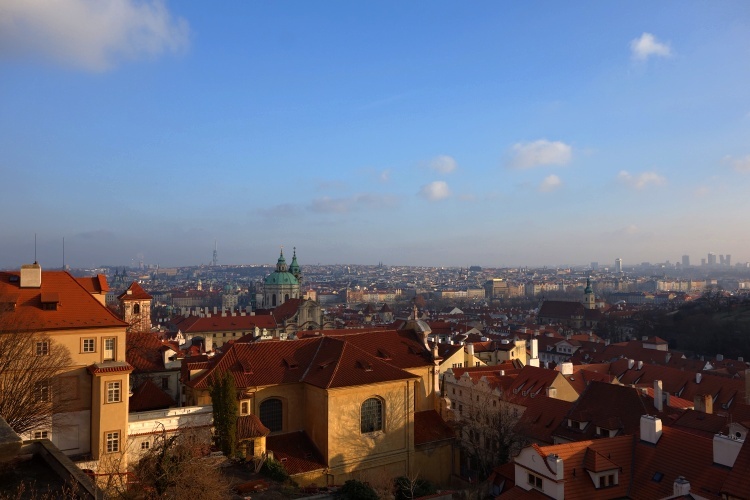 There are always so many things to do in Prague – you can visit some of the many Advent concerts that are held in churches or other historical buildings. You can also enjoy the winter atmosphere in one of the outdoor ice-skating rinks – try the one in the Fruit Market (Ovocny trh), which is located in the heart of the city, or the one in Letna, which is the biggest ice-skating rink in the city. 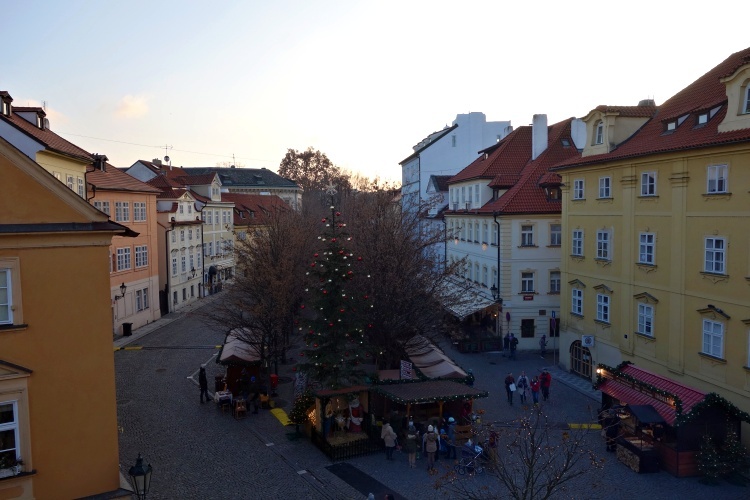 We recommend that you stay in the historic city centre (Prague 1) to be close to the Christmas markets. But if you find the area too busy or your budget is very limited, it’s a good idea to stay close to any metro station as the metro will get you to the city centre quickly and there are connections every few minutes. Airbnb is another option for those looking for more authentic local accommodation. We hope that we inspired you to put the Christmas markets in Prague on your bucket list. If you like a festive atmosphere you will find it in Prague in December – browse the charming Christmas markets, explore the stunning historic city centre, enjoy the Czech traditional food and drinks, and most importantly, slow down – it’s the Christmas time! We’ve teamed up with GPSmyCity so that you can use this post on your trip. 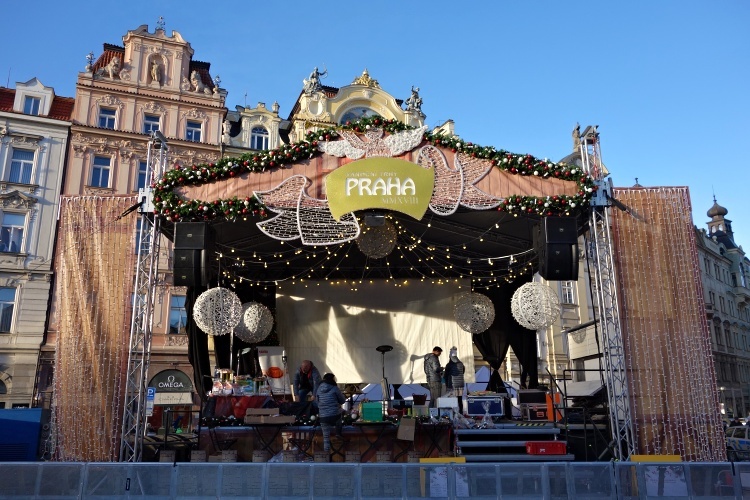 You can download our guide ‘Christmas Markets in Prague’ here. 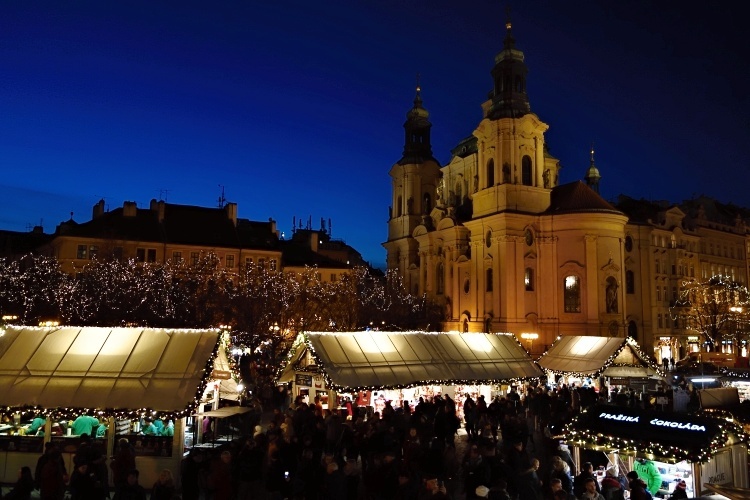 Learn more about the Christmas markets in Prague in our Ultimate Guide. 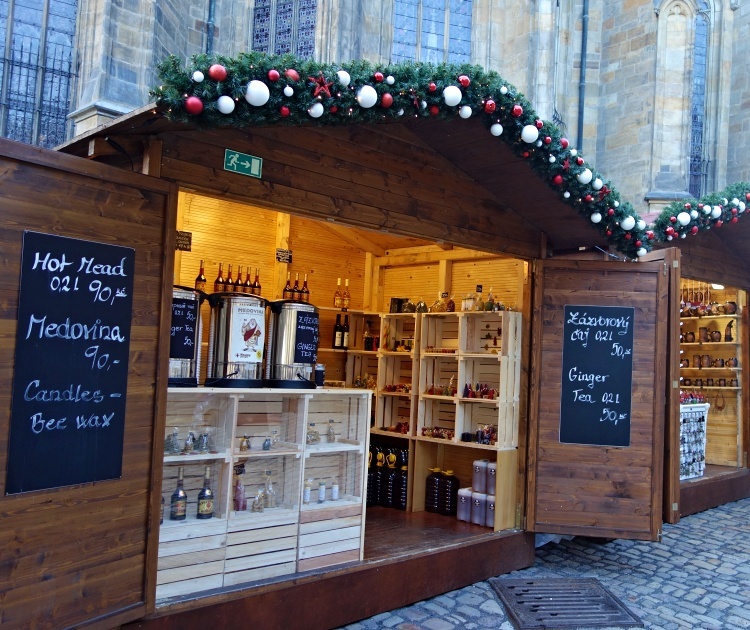 Which Christmas market is your favourite and what do you enjoy buying, eating or drinking the most?